In late-2018, Stewart Andersen was putting the finishing touches to his business plan. His idea was simple: fashionable football supporter t-shirts designed and printed in the UK. No silly price tags. No new designs every season. Just an affordable way to support your local team. By November, Andersen had designed his t-shirt, built his website and registered his company. The only thing he still had to do was work out how to take payments online. As a fledgling business owner, this was all new to Andersen so he went online and started researching the online payments. He quickly learned that he couldn’t just link his normal business bank account to his website and start taking credit and debit payments. Instead, he needed a special bank account called a merchant account. Thankfully, Andersen found out about merchants accounts early enough to get one arranged and integrated before his official launch. When his website launched to the public, the sales rolled in and, a couple of days later, Andersen’s first payment landed in his merchant account. In this article, we’ll retrace Andersen’s research into merchant accounts, learning about what they are, how they work and how you apply for one. We’ll also discuss the difference between merchant accounts, internet merchant accounts and high-risk merchant accounts. Finally, we’ll look at typical merchant account fees before recapping the cheapest ways to buy a merchant account. A merchant account is a special type of bank account that can accept payments directly from debit cards and credit cards. While that sounds simple, accepting card payments is actually pretty tricky and needs a bunch of organisations to work together behind the scenes to coordinate debit and credit card transactions. Once your customer’s payment eventually lands in your merchant account, you’re free to transfer the money out to a regular business bank account and use it as you normally would. There are two different types of merchant account available to merchants: dedicated and aggregated. We’ll take a look at the differences below. Dedicated merchants accounts are opened exclusively for one merchant. Since the account is opened specifically for your business, you can usually negotiate payment processing fees based on your monthly debit and credit card transaction volume. While dedicated merchant accounts give you more control over your money and attract lower fees, the application process is longer and harder to complete successfully. Before you can open a dedicated merchant account, your service provider will perform a detailed credit check and follow a thorough underwriting process. This can take a long time to complete, especially if you have to provide hard copies of banking info, accounts or other business records. An aggregated merchant account is basically a merchant account that’s shared between several merchants. Instead of each merchant having their own individual merchant account, all their transactions are paid into one shared account. Once a customer’s payment has arrived in the aggregated merchant account, the account provider transfers the money to the merchant’s individual business account. The main disadvantage of an aggregated merchant account is control. With an aggregated account, your money is at the whim of your account provider. If they want to hold money for five days before paying it to you, they can do that. The pay off for losing control is access. It’s substantially easier for merchants to open an aggregated merchant account than a dedicated one. While there are checks involved with aggregated accounts, the process is much quicker and easier than with dedicated accounts. Applying for a merchant account works, more or less, like applying for any other bank account. You find a service provider, fill out a form and wait for them to process your application. However, there are a few differences in the details. First, merchant account providers will ask for a lot more information (bank statements, accounting records, credit history, etc.) than a regular bank account provider. It’s important that only reputable merchants can accept debit card and credit card payments so they won’t dole out merchant accounts to just anyone. Third, opening and closing a merchant account is a bit more tricky than opening or closed a regular business bank account. Providers often lock merchants into long-term contracts or require long notice periods. It’s difficult to give advice about specific providers as they are liable to regular change. Instead, here are some general questions you should ask about your contract. Is the contract of a fixed length or is it rolling? If the contract is fixed length, is there an early termination fee? How long is your cancellation notice period? How long is the provider’s cancellation notice period? The best contract advice I can give you is to read your contract thoroughly. So many merchants skim read the text — or worse, don’t read it at all — and are them surprised when their provider demands three months’ notice or a large early termination fee. To avoid any nasty surprises, read your contract thoroughly and ask the service provider’s sales rep for written clarification on anything you don’t understand. What’s the difference between an internet merchant account and a regular merchant account? If you run an e-commerce business, you’re probably wondering how this all applies to you. Well, like brick and mortar merchants, you also need a merchant account as your basic business account can’t accept online payments directly from your customers. An internet merchant account is basically the same as a regular merchant account except that it charges slightly higher fees. That might sound unfair but e-commerce payments are riskier so your payment processing provider has to cover itself somehow. As with all merchant services, there are a few costs, charges and fees to think about. Merchant accounts have two ‘buckets’ of fees you need to think about: transaction fees and other charges. Here’s a quick breakdown of both. Transaction fees: Transaction fees normally form the bulk of your bill. It’s the fee charged by your merchant account provider on each transaction you receive. For example, it might charge 0.3% for debit card transactions and 0.9% for credit card transactions. Manually comparing transaction fees is difficult as providers will name card types different. (For example, Europay, Mastercard and Visa are some times abbreviated to EMV.) Other providers will combine fees into ‘standard’ and ‘premium rates’. Few actually break down your fees each different components. Other charges: Other charges covers everything that isn’t a transaction fee. This includes things like your terminal hire, PCI compliance fees, authorisation charges, minimum monthly fee, set up charges and so on. While there are a lot of charges included in this bucket, the total is typically far less than your transaction fees. If you are manually researching merchant account costs, it’s important you make sure you’re comparing like for like. Wherever a fee or charge isn’t clear, ask your sales rep for clarification. We touched on high-risk merchant accounts a little earlier but it’s worth going into more detail, especially for the merchants that it affects. Payment processors classify some merchants as high-risk, which prevents them from accessing regular merchant account services. Instead, they need a specialised high-risk merchant account. These merchant accounts are identical to regular accounts but they charge slightly higher fees to account for the increased risk. Why a merchant is classified as high-risk is a trickier question. Generally speaking, there are two common reasons: they operate in a high-risk sector or they’ve exhibited high-risk behaviour. That list is far from exhaustive so don’t think that your business is safe just because you don’t work in any of those eight industries. Before you apply to a merchant account provider, find a comprehensive list of the industries they deem high-risk and check you fall into any of the sectors. If you work in an industry deemed high-risk, check with your sales rep before investing loads of time in your application. With high-risk sectors, it’s important to point out that it doesn’t mean there’s anything wrong with the business itself. It’s just that, on average, the industry poses a higher risk than others. If your behaviour is deemed bad enough, your business may be entered onto something called the MATCH (Member Alert To Control High-risk merchants) list. The MATCH list is shared between all major merchant account providers and if your business is included on it, providers will automatically reject your application. How do I find the cheapest merchant account for my small business? Congratulations! You’ve made it to the end of our deep dive on merchant accounts! It’s probably tough to take in so much information at one time but you should (hopefully) have a good understanding of what a merchant account is and the role that it plays in a wider payment processing system. Now that you know what a merchant account is, the next step is to get one in place for your business. Now, we’ve covered this in some detail in our article What is the cheapest way to buy merchant services? but I’ll give you a quick summary here as well. There are four main channels to buy a merchant account and there’s a huge variation in what you’ll be charged in each. Here’s a super quick rundown. Banks: Most banks have a load of business customers and those customers need payment services like point-of-sale systems, card terminals and merchant accounts. Instead of sending their customers to third-party providers, banks resell merchant services from other companies. Banks know that their business customers are unlikely to look around so ratchet up the processing fees on the products they resell. 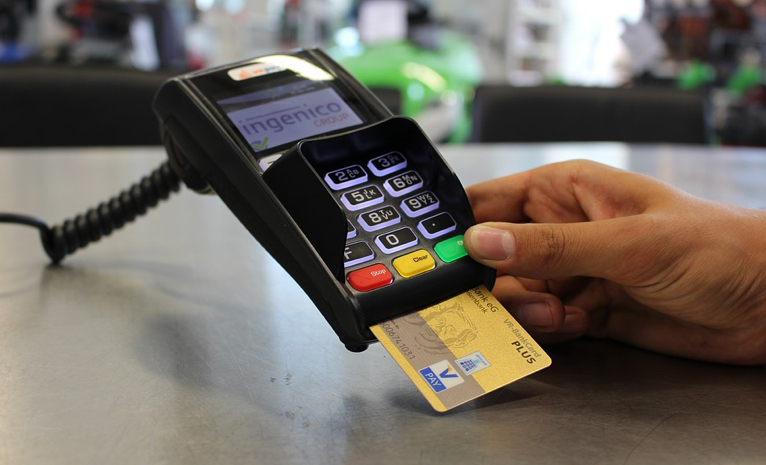 Payment Processor: Card processors will also sell merchant accounts directly to customers. However, individual small business hold virtually no bargaining power so are generally quoted fairly uncompetitive rates. Independent Sales Organisations (ISOs): ISOs are organisations that resell a payment processor’s service to a group of merchants. Because they represent a large group of merchants, they’re offered much better deals — typically up to 40% lower than the card processor’s direct quote. ISOs are a great option but it’s difficult to accurately (and quickly) compare their deals. Cardswitcher: Cardswitcher allow you to generate quotes from leading ISOs and compare them in one place. That saves you a huge amount of time and energy and helps you get the best deal for your small business. The process only takes two minutes so you’ve not even got that much to lose! As I mentioned above, we have partnerships with many leading ISOs and allow users to search, compare and select merchant account deals from across the market.